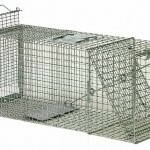 TRAP DESCRIPTION: 11"W x 12"T x 30"L. This lightweight design is ideal for trapping small to medium animals. It features a strong wire construction, excellent trip mechanism, locking front door and rear sliding door. 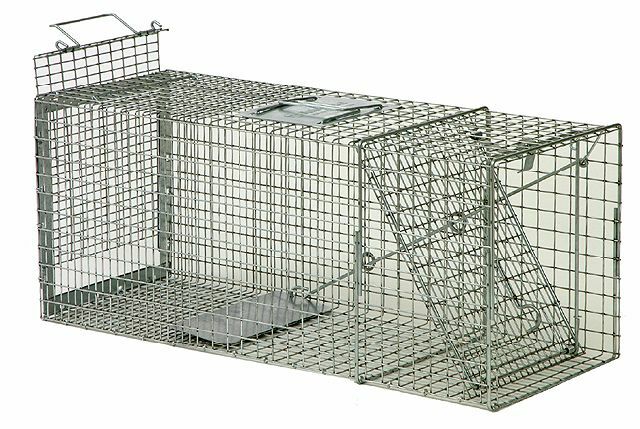 The sliding door makes it much easier to both set the trap and to release trapped animals. I'm from Sri Lanaka. An agriculturist. Here we heavy damages by porcupine. Please reply to me how I can buy a trap like this or direct me how to make it. Once on the above page, you can "add one cart" and then "view cart". On that page, choose your country and you'll see shipping options and costs. We have plenty of these in stock and can ship them right out.